We are gearing up for the Virginia Standards of Learning Test, and I thought I'd share an idea that is helping my students at least have exposure to all of the possible writing prompts our state will choose from. Here is a table of all of the possible prompts from the state (and if you're in another state, you still might enjoy using them). 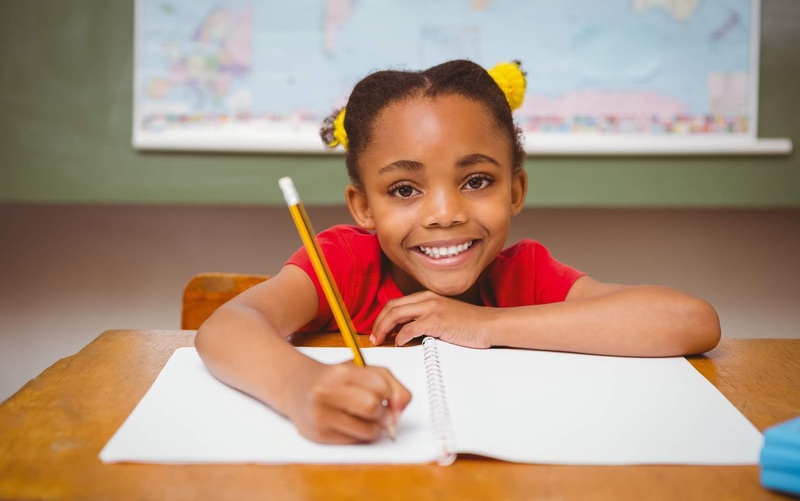 During the fall, our district assigned two per week for our students to work on either as quick writes or through the writing process. 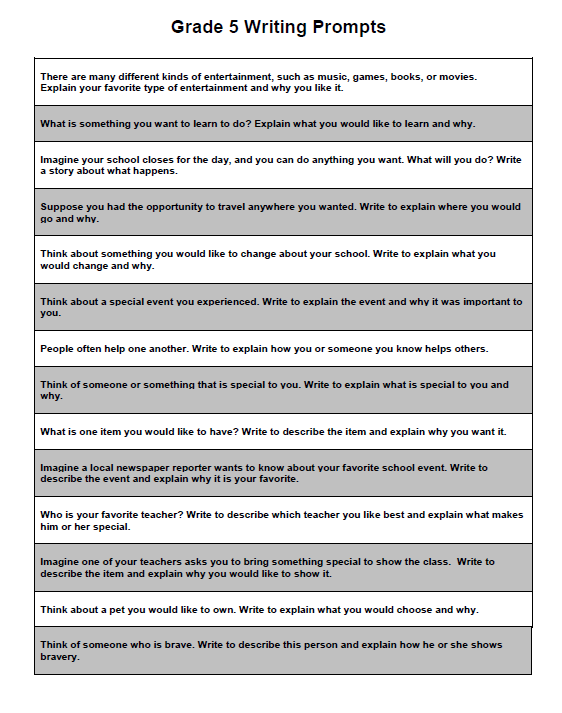 I used one as a class writing assignment and one was done at home for homework, and now that the time is almost here, I am working with the students more in a simulated fashion to help them get over the hurdle of coming up with ideas. As you can see, the prompts are written in such a way as to cut them apart into strips (four pages), so that's what I did. I folded them all up, put them in a ceramic cup, and today, I had my students draw a prompt from the cup, brainstorm ideas on a web, and use the ideas gathered to plan out how they'd write it on a four square plan. (Jigsaw Method). After completing their plans, we had a group discussion about each idea and how we might attack it if we are to choose it, and I think that discussion for struggling students does *a lot* to scaffold their thinking. That is the biggest hurdle for so many kids who struggle. 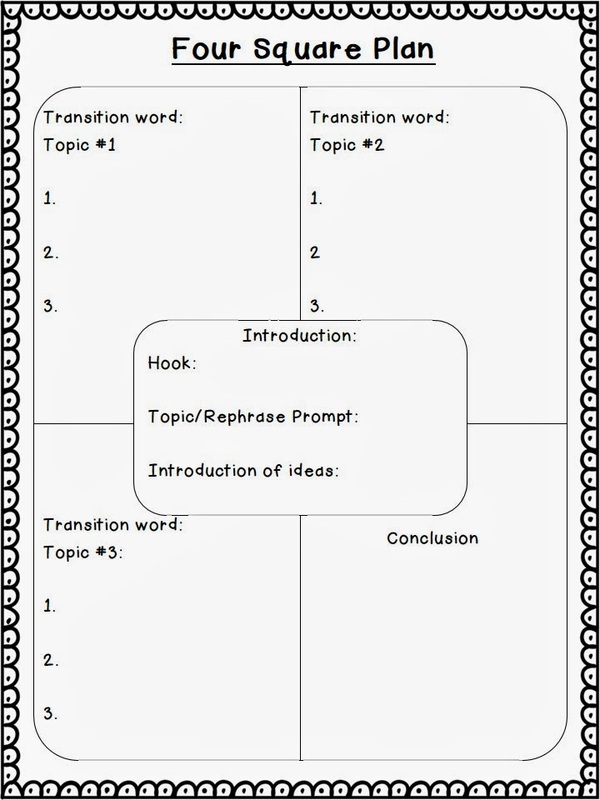 One other technique I've used is sticking to one basic method of organizing our writing versus 5-6 different organizer types. I want understanding of how to use it, mastery of plugging in ideas, and application to the paper. The root of a great paper is in the planning, and secondly in the revisions (and this is the second biggest hurdle for struggling readers....they want to be done on the rough draft!) Here's the Four Square plan my kids have been using, and I've asked them to memorize it as their "dump sheet" for test day. They will have to make their own on testing day. Well, I don't know whether I wowed you or not with these tips, but I was wowed with the discussion we had. I hope it makes a difference to my students and calms them, so that they can really do their best. Have a great week everyone! If you have either a writing wow to share or would enjoy linking up with Curious Firsties, click the wow button above. You can also share in the comments. Thanks for dropping by, and until next time, happy reading!